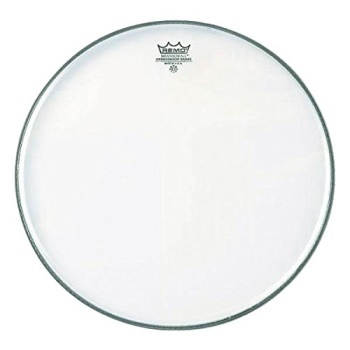 Options: Hazy 13" Hazy 14"
Remo Hazy concert snare side drumheads are available in two weights to further customize your sound for any musical application. The Diplomat features a 2-mil Mylar film for the most sensitive snare response with outstanding projection and tone. The Ambassador is a 3-mil film, ideal for general purpose applications requiring both sensitivity and projection with the widest dynamic range.